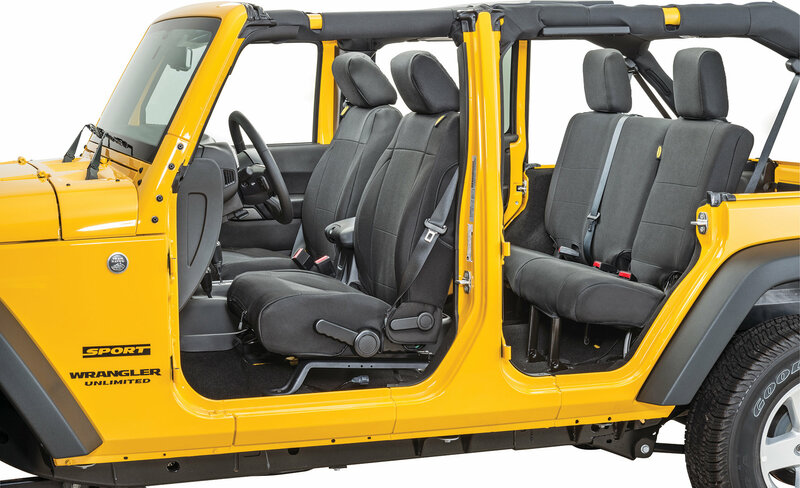 Smittybilt's new G.E.A.R. 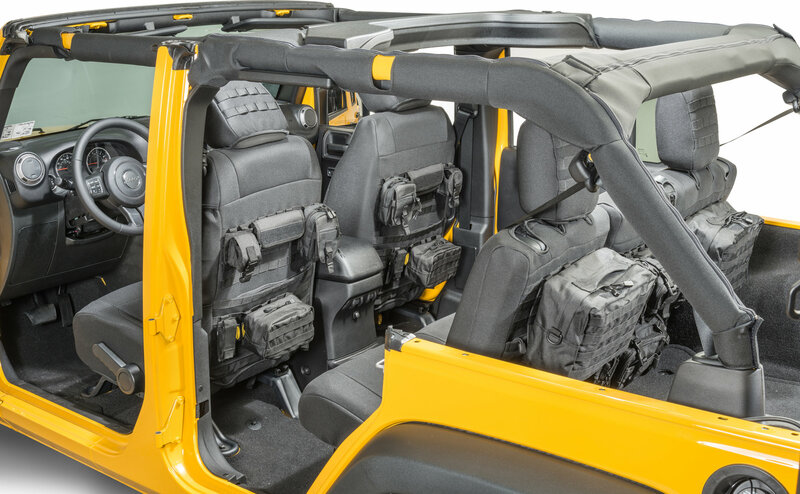 custom fit seat covers are a great place to store first aid supplies, flashlights, matches, and other essentials where they are easy to access in your Jeep Wrangler. Crafted from 600 Denier ballistic nylon, the waterproof G.E.A.R. 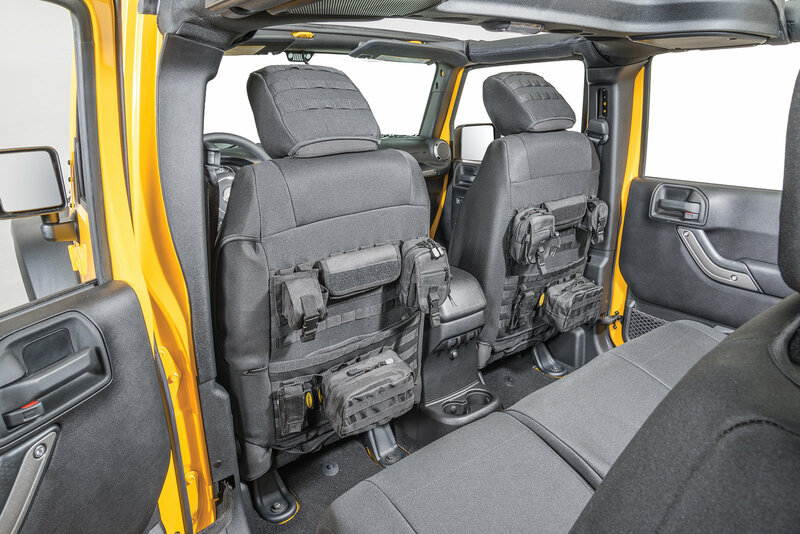 seat covers are fitted with zippered map pockets, MOLLE pouches, and webbing to lash even more gear to your Jeep. Each front pair cover includes five (5) individual MOLLE/PALS pouches. Bought these about a month ago, just put them on my 2009 JKU. Completely satisfied with these. 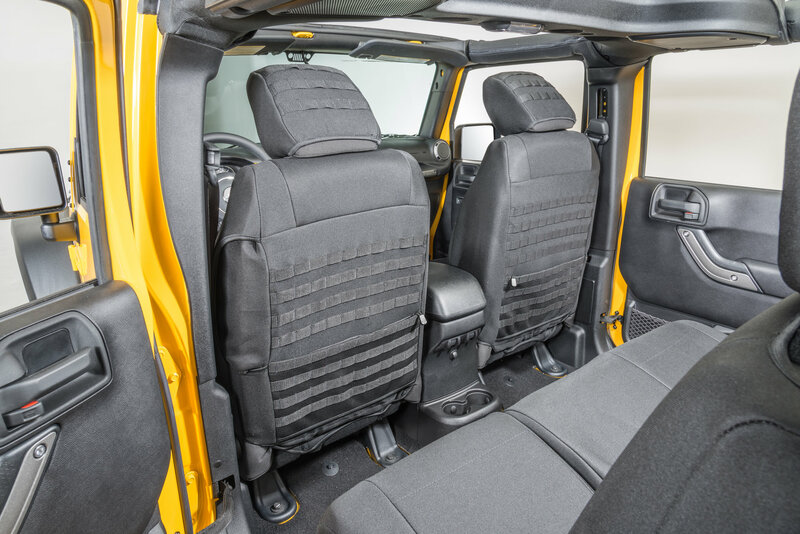 I had the cheap-o seat covers and they were no where near as neat as these are. Handles dogs, kids, and a spilled coffee with no trouble. I use all the bags and pouches that the set came with and have found a use for all of them. ( Plus ordered a few extra from other sources.) I definitely recommend these to anyone.